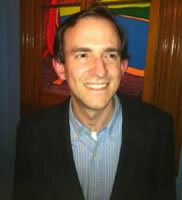 Steven S. Drachman is a writer and critic whose work has appeared in The New York Times, The Washington Post, The Village Voice, The Boston Phoenix, The Chicago Sun-Times, and Entertainment Weekly. His first novel, a Western sci-fi historical fantasy entitled The Ghosts of Watt O’Hugh, was named one of the Best of 2011 by Kirkus Reviews, and Winner, Best Fantasy Novel by Indie Excellence Book Awards 2012. Read more about him and about the books at Steven S. Drachman’s website. The Memoirs of Watt O’Hugh the Third (2011- ) Publisher: Watt O’Hugh III is a self-made man, Civil War vet, Time Roamer, former orphan of the New York slums and dime novel hero of the lost, magical West of the 1870s – and his riotous adventures mark one of the most original literary fantasy novels in recent memory. When O’Hugh returns to New York as the star of a Wild West show, he thinks his ship has come in. But that’s before he wakes up in a Wyoming penitentiary facing a murder charge, a corrupt Wall Street banker turned outlaw and a 2000-year-old Chinese mystery that could change the world forever. All he really wants is to woo Lucy Billings again, the woman he loved and lost in a gilded New York City before the War …. I confess to having mixed feelings when I was done with The Ghosts of Watt O’Hugh, by Steven S. Drachman, but the book’s relative brevity, strong finish, and the fact that its sequel, Watt O’Hugh Underground, was an improvement, means in the end I feel OK in recommending it, with a few caveats. 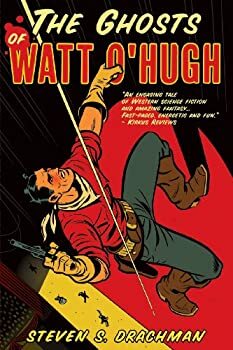 Watt O’Hugh Underground is the follow-up by Steven S. Drachman to his early Western fantasy The Ghosts of Watt O’Hugh. 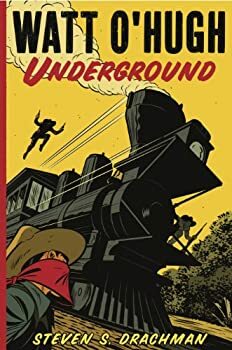 I was pretty “meh” toward the first book, though it had a strong close, but I mostly enjoyed Watt O’Hugh Underground throughout, despite having some issues.